The event, aimed at summarising recent findings within the poultry veterinary sector, took place in the Budongo Lecture Theatre at Edinburgh Zoo, creating a very animal and avian centric atmosphere for the attendees. The meeting also highlighted the important role the veterinary profession has played in the expansion of the poultry industry. There have been major strides in the avian industry for poultry veterinarians, who have within the last two decades, gone from being seen as dealing with somewhat inferior breeds to being at the forefront of development and specialisation within the veterinary profession. "Chicken makes up such a large part of the growing population's protein source; so it is critical that the industry and vets work together to ensure optimal productivity and welfare within this highly intensive business. 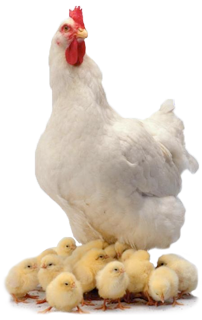 Poultry veterinarians are seen by poultry producing companies as the custodians of their birds' welfare, and this, along with efficient production, are integrally linked to bird health." Delegates heard from a wide variety of speakers. Aviagen's UK Breeding Director, Jim McAdam, gave an overview of the tools his team uses as part of the selective breeding process. Simon Girling from Edinburgh Zoo also discussed the role of the zoo vet in relation to avian species, something which the attendees found very interesting. A key topic remained the challenges faced by the poultry industry and vets. Aviagen Microbiologist Fraser Gormley held a lengthy discussion on campylobacter and ESBLs, a topic very much at the forefront of the European poultry industry. Compartmentalisation, the initiative pioneered in Europe by the UK and first adopted by Aviagen, was also discussed. Keith Warner added: "Meetings such as this bring together like minded people, who are involved and intensely interested in poultry health and welfare, and the industry. A significant number of attendees are scientists at the fore-front of international research, and by coming together, we were able to share knowledge, get advice and develop ourselves. "In doing so, we help to ensure we and other players within the British poultry industry like Aviagen remain relevant and significant to the field of international poultry science." Of course no trip to Edinburgh Zoo would be complete without a trip to see the Pandas and penguin parade and all attendees did take a few minutes to study these other species!